Good communication is made up of two parts: speaking and listening. In this industry, you’ve got to be able to clearly express yourself, and not just while you’re reading the script (although this is obviously very important). Be open, honest and clear in your communications to your clients, and it will go a long way. Don’t forget to be a good listener, too. Everyone wants to be heard, and this is probably especially true of your clients. 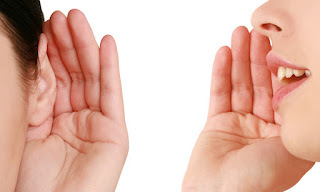 Showing your clients that you are listening and understanding what they tell you will earn you major brownie points - and it will help you do your job better! This includes learning to be a good "directable" talent during your phone patch, ISDN or the like, or live sessions. Although, "directability" is actually a subject for another blog article. ● Make connections - Attempt to really connect with people. Look for common ground to bring you together. Put yourself in their shoes, and try to understand where they’re coming from. ● Control your tone - Watch how you say things. Sometimes we take a “tone” when we don’t really mean to. ● Be positive - No one likes a Negative Nancy, so keep it optimistic. ● Show appreciation - Be grateful. Recognize that someone is sharing their time with you, and time is a valuable commodity. ● Ask for feedback - Feedback, whether it’s good or bad, should always be welcome. It’s part of how you learn and grow as a professional.